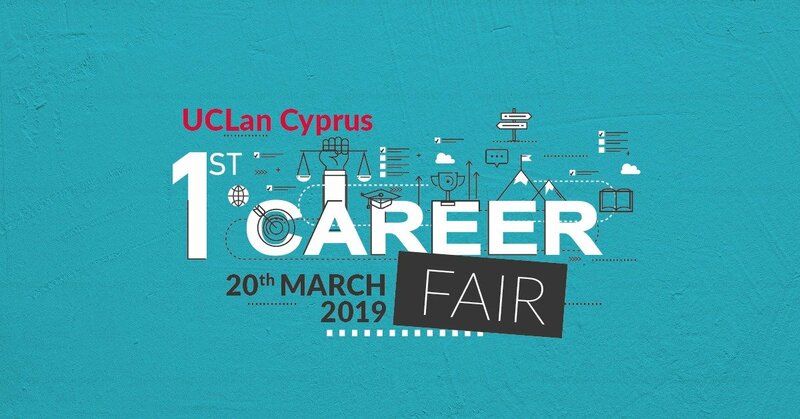 UCLan Cyprus, committed to the valuable engagement with industry and promoting the employability of its students, cordially invites you to UCLan Cyprus 1st Career Fair that will take place on Wednesday, 20th March 2019, between 13.00 - 17.00. The Career Fair will be hosting companies and organisations from all sectors of the Cypriot economy on our Campus. Our aim is to help bridge the gap between the need of companies to recruit high-quality young graduates and the importance for the students to get a first-class professional experience. The Fair applies for Job and Career Seekers, Universities Students and Graduates, High School Students and Professionals. Meet Employers Face-to-Face and take the chance to ask as many questions as you like and find out anything you want to know about the company you could potentially be starting a Career with. No pre-registration is required, you can just turn up on the day. For information, please contact Ms Fotini Koutra on FKoutra@uclan.ac.uk or by phone on 24 69 4022.